Welcome to the March edition of the FoMM newsletter. We have all breathed a sigh of relief after all the rain over the last few weeks. 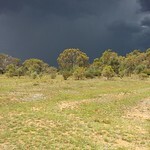 It means we don’t have to water all the National Tree Day seedlings again and they are flourishing. However, it also means that many weeds are now actively growing, so it’s an important time of the year to lend a hand at keeping them at bay. 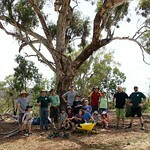 We would love to see you at our next working bee on Sunday 16 March! 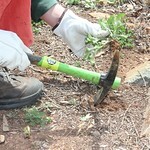 Aboriginal stone axe found on Mt Majura! 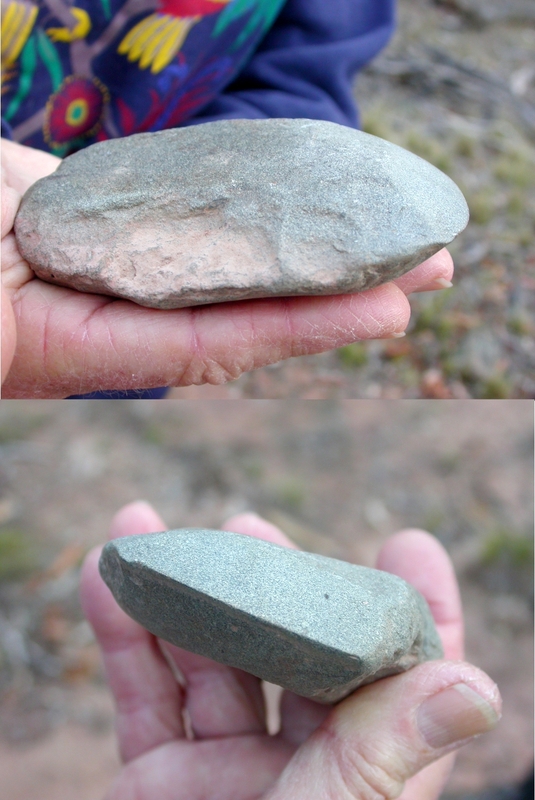 Friend of Mount Majura and archaeologist Michael Hermes of Ainslie was walking on the western slopes of Mt Majura a couple of weeks ago when he found a rather fine example of an Aboriginal stone hatchet head or axe lying in an eroded track. It would have originally been hafted with a wooden handle which has long since disappeared. This type of tool is hard to date when found in the open, but similar ones have been found in very ancient cave deposits in Australia, and they were still in use in the nineteenth century on the Limestone Plains. 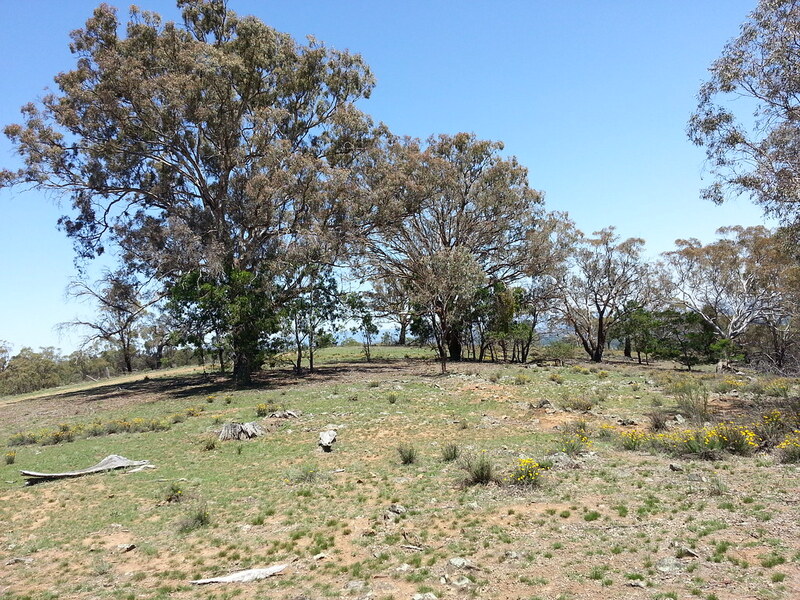 An Aboriginal stone quarry was identified 30 years ago near Cooma, which may be the source of this grey/blue fine grain volcanic rock. 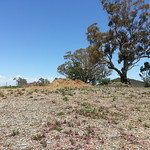 Euroka Gilbert of the ACT Government Heritage Unit has inspected the find and has relocated it, so that it will not be removed by anyone. 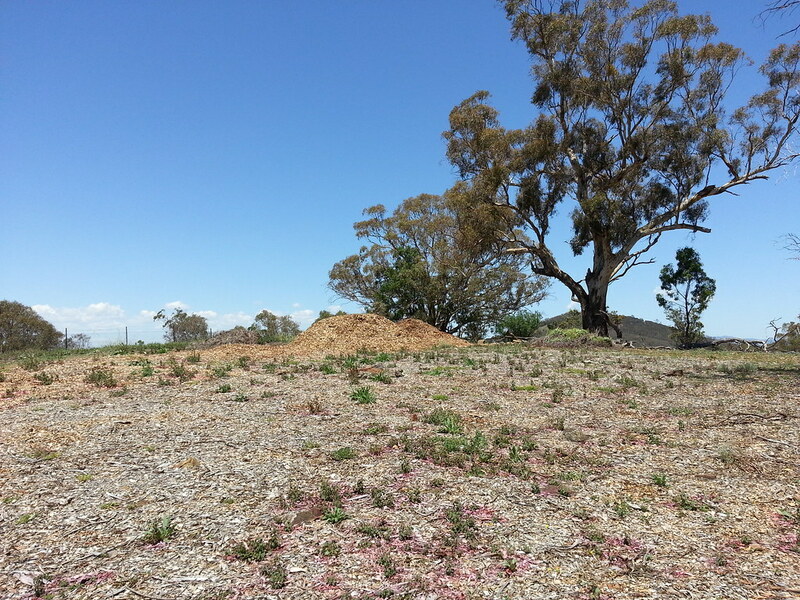 He said that the community is in favour of such items staying in the landscape whenever possible. 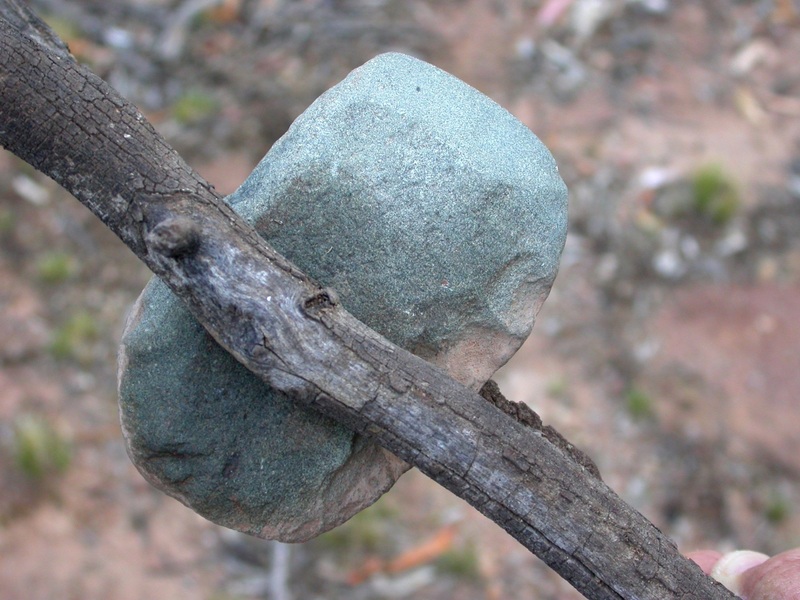 It is of course an offence to take stone artefacts from the bush. 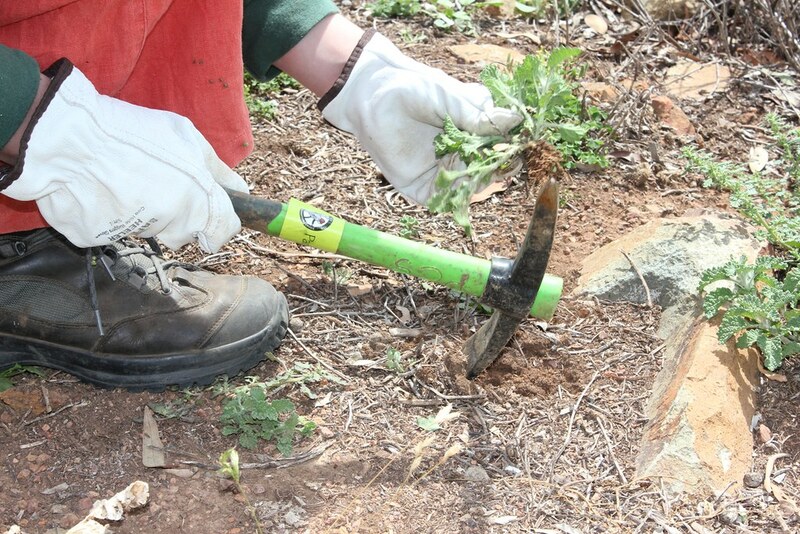 Michael has volunteered to help FoMM/Mt Ainslie Weeders if anyone finds objects during their work on the mountains which they think may be of Aboriginal heritage significance. 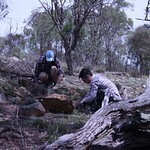 Best practice is to leave it where you find it, get a GPS location and a photo or two of the artefact and the surrounds. 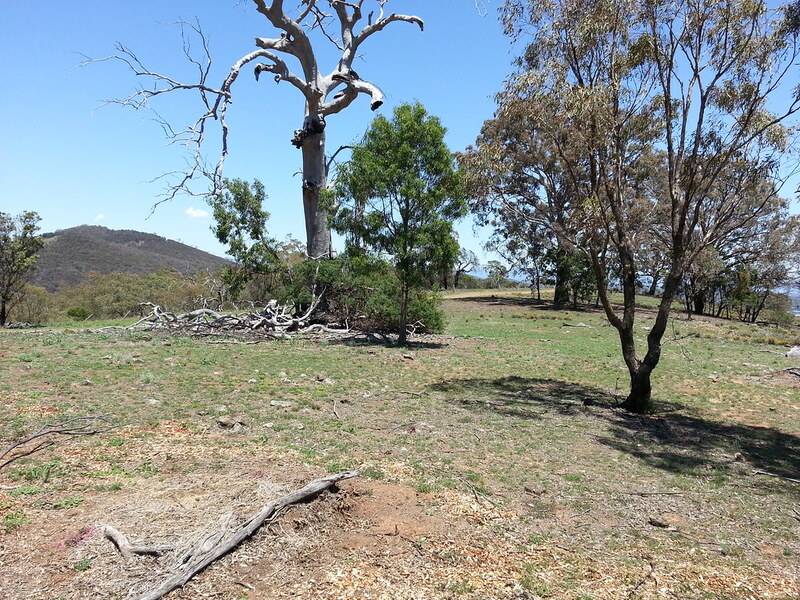 But if you are certain of any item, the ACT Heritage Unit should be notified. 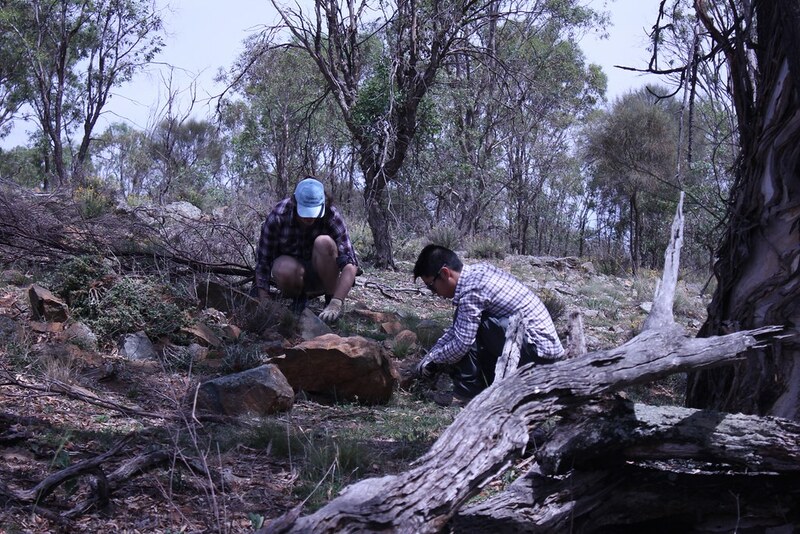 1/ Aboriginal axe head found on Mt Majura. 2/ Entire view (top) frontal view of sharp edge (bottom (Photographs Waltraud Pix 24.02.2014). 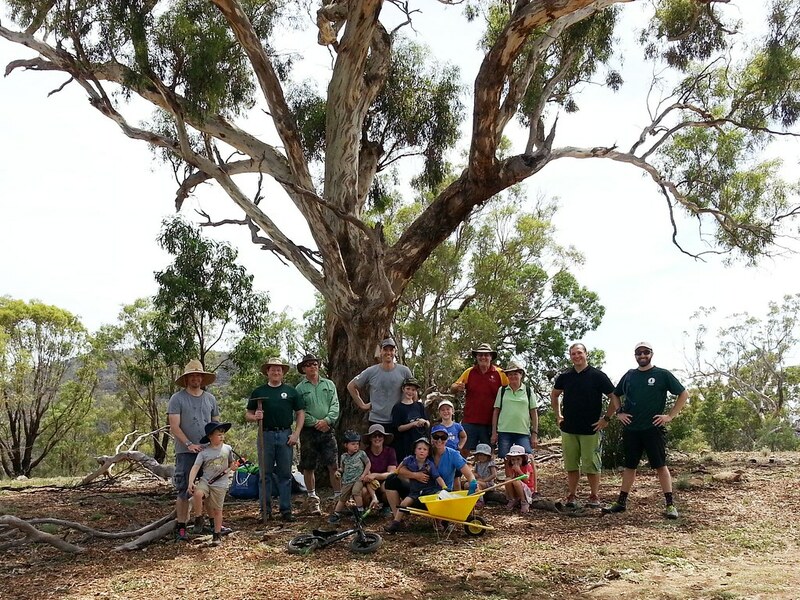 Once a year the Friends of Mt Majura and fellow ParkCare group The Mount Ainslie Weeders host a joint working party at our “Common”, a grassy woodland below the saddle of Mt Majura and Mt Ainslie. 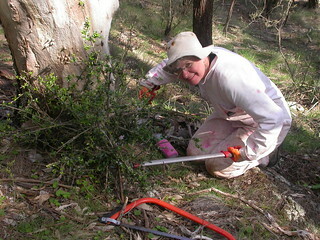 Join us if you can for an hour or more to tackle woody weeds. What to bring and wear: Sun protection, sturdy boots, and body covering garden clothing. We’ll provide the tools and refreshments. Novice weeders are encouraged to come early for an induction on target weeds and on the save handling of equipment and herbicide. 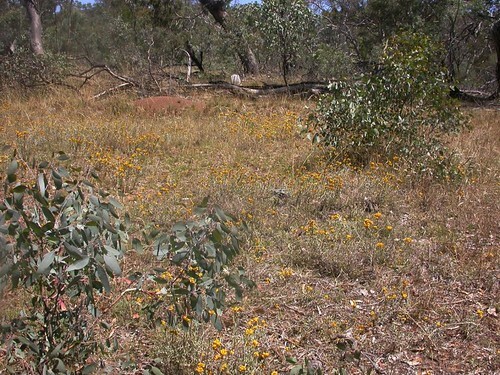 Yellow Buttons are spreading in the grassy woodland below the saddle between Mt Ainslie and Mt Majura following the removal of woody and herbaceous weeds (Photograph Waltraud Pix, 28.12.2012). 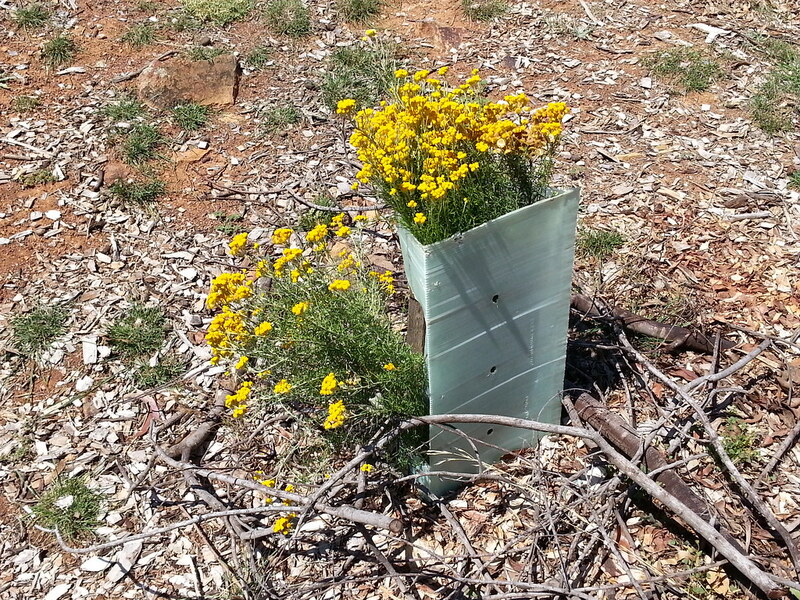 Weed Swap is an opportunity to replace environmental weeds growing in Canberra’s gardens with free locally grown native plants. 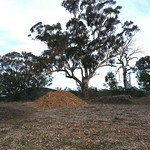 For further details go to http://majura.org/2007/11/03/weed-swap/. FoMM will be hosting an information table at the Hackett shopping centre in the week leading up to weed swap. If you pass by grab the popular Grow me instead guide and other useful pamphlets. 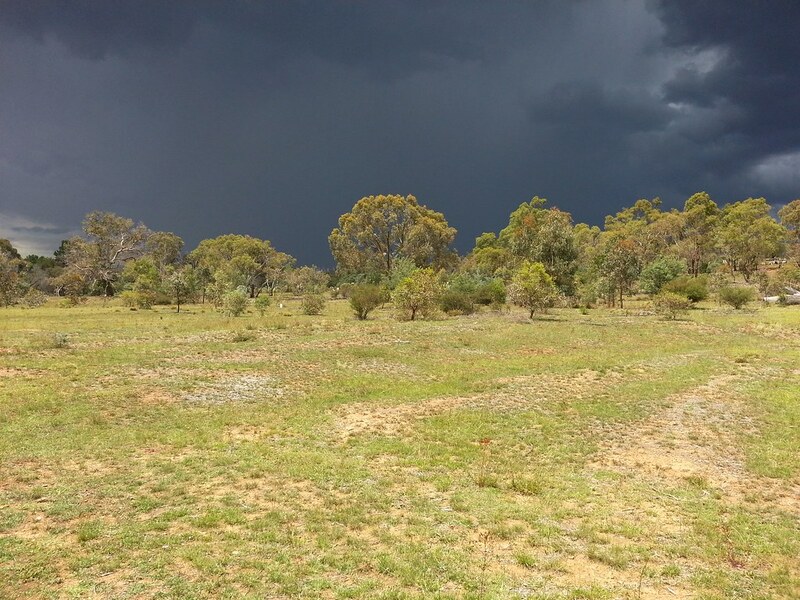 Celebrate this year’s Heritage Festival theme “Journeys” with an exploration of the Majura Landscape. 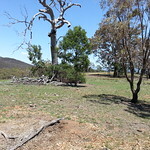 Experience the subtle transition of Mount Majura from a bright and colourful woodland to a dusky mysterious world or the transformation of the raw beauty of Watson Woodlands to artistic expression on canvas and camera alike. 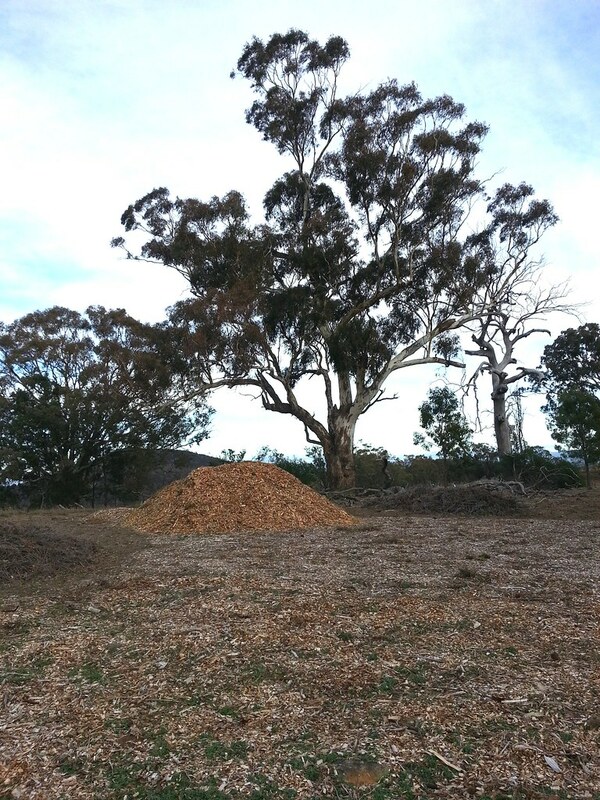 Staff of the Parks and Conservation Service and Conservation, Planning and Research plan an evening information session on the same topic in April; if you want to be kept posted please contact Jasmine Foxlee, ParkCare and Volunteer Coordinator at Jasmine.Foxlee@act.gov.au. 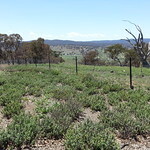 We have recently been undertaking varied activities such as seed collecting, GIS mapping, woody weed eradication and placing woody debris around the National Tree Day seedlings to protect them from kangaroo grazing. The trees are doing really well after all the rain. 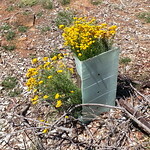 If you are free on a Friday morning, why not join us to help restore the endangered Yellow Box/Red GumGrassy Woodlands. Where: We meet every Friday from 9.30 am to 12.00 noon (except on holidays) in the nature reserve east of The Fair. 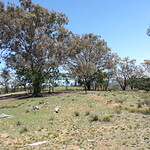 Meet at the nature park access cnr of Tay and Ian Nicol Streets North Watson. What to bring: Bring appropriate clothing, drinking water and sun protection. 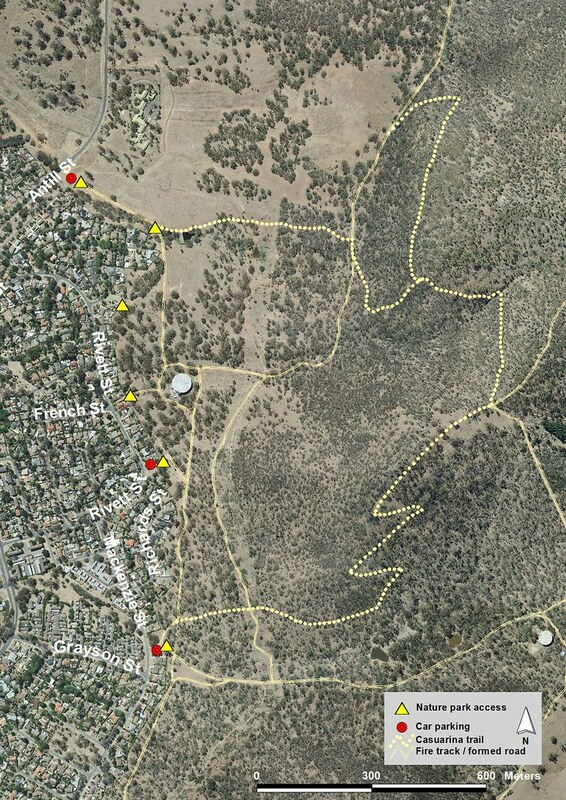 At the FoMM Committee meeting on 26 February, one of our volunteers, Aaron Clausen, gave an introduction into how to use this great new website he recently developed http://canberranaturemap.org. 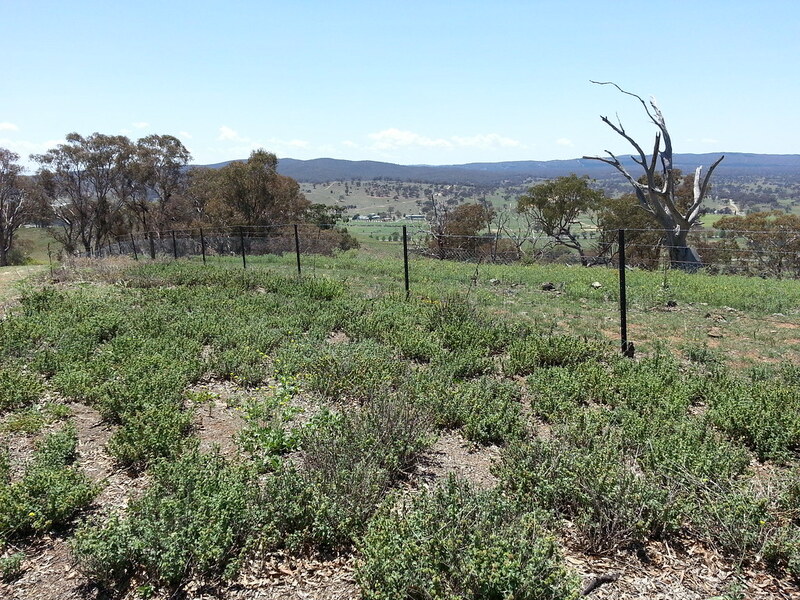 It will greatly assist us in recording and monitoring rare plants on the mountain. Further details will be provided in the April FoMM newsletter, so stay tuned. This was a great success! Go here to see some photos from the start of the walk. We hope ANU ant specialist Ajay Narendra will lead another walk soon.